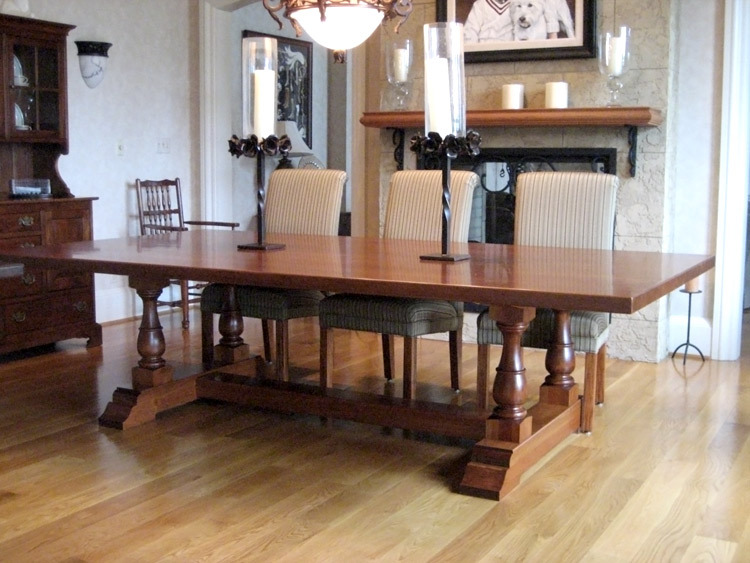 This large table of solid cherry takes four men to lift. The 2`` thick top is 9ft x 5ft. The legs were specially turned to a custom profile.